No crusts left behind is My Pizza Lab’s personal motto. True enough, no pizza crusts (or pizzas, for that matter) were left behind at the restaurant during our recent visit. 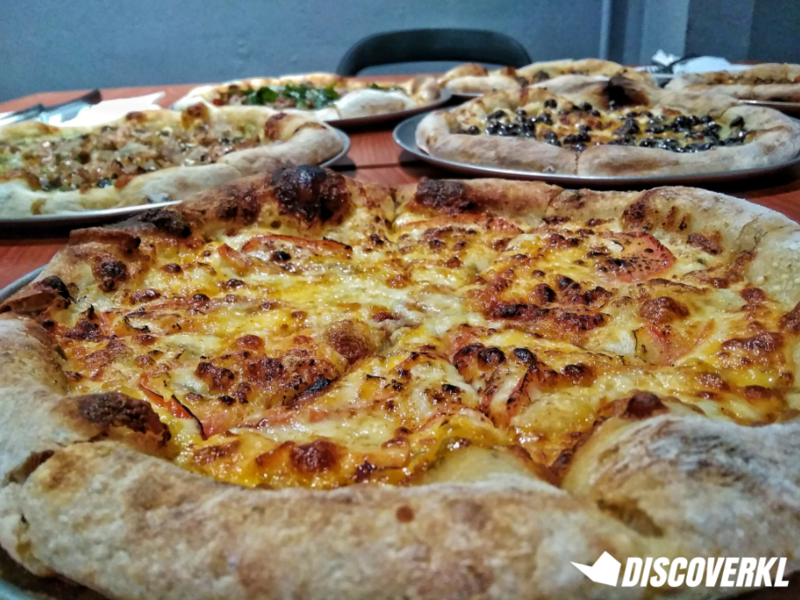 Where crusts are abandoned more often than not, what My Pizza Lab does differently is invent a crust that’s just as flavourful as the pizza itself. The texture is reminiscent of bread—focaccia to be specific. A slight crisp on the outside with that addictive soft white bread texture on the inside. 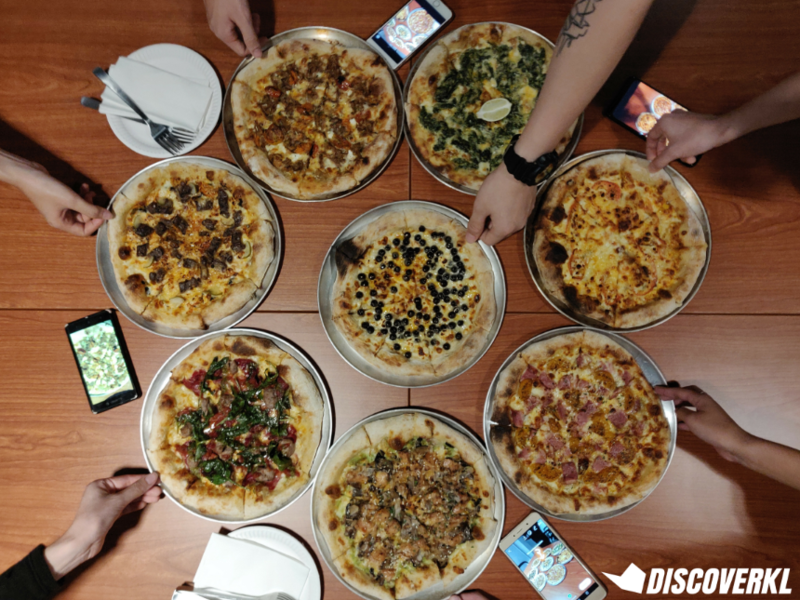 My Pizza Lab, which is the brainchild of some notable names within the F&B industry, recently opened up shop right beside the Seapark outlet of the successful burger joint. 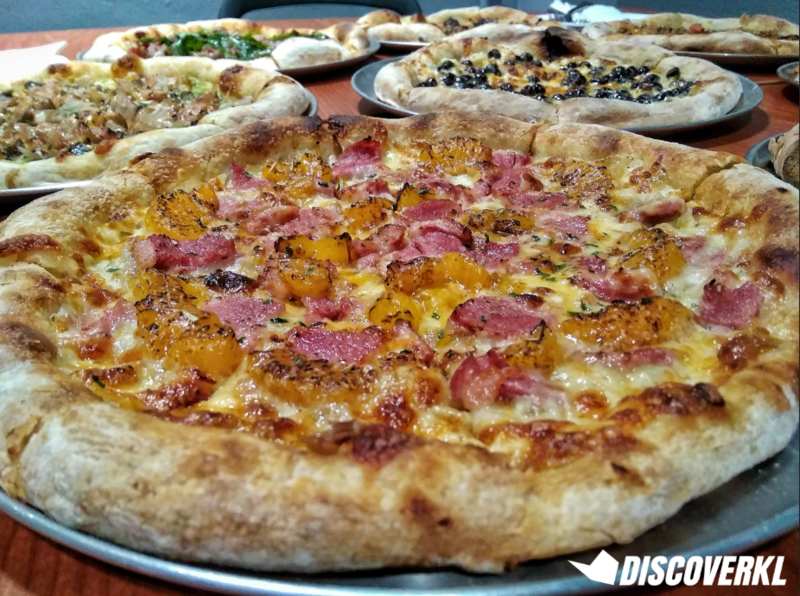 Alongside eyebrow-raising creations like boba pearls on a cheese pizza (condensed milk is thrown into the mix too, because why not? ), My Pizza Lab has also crafted boozy bobas to go with their grubs. The Refreshingly Bubbly series starts off with a to-die-for Jasmine Tiger Beer Boba (RM14). The drink is made from Jasmine green tea, burnt rosemary and Tiger beer. Jasmine green tea and beer are like night and day but it takes a true genius to pair these 2 beverages together. Both have a smokey, slightly sweet flavour and it’s a refreshing thirst quencher. For something milder, opt for the Pu-Er Tiger Beer Boba (RM15). The drink is made from aged Pu-Er tea, burnt rosemary and Tiger beer. The pearls are sponge-like in the sense that they absorb the flavour of liquids well. Whilst chewing into the soft pearls, you’ll savour a hint of Tiger beer and smokey Pu-Er. The Fruity & Chewy series consists of a Guava Tea Boba Fresca (RM9) and a Strawberry Tea Boba Fresca (RM9). 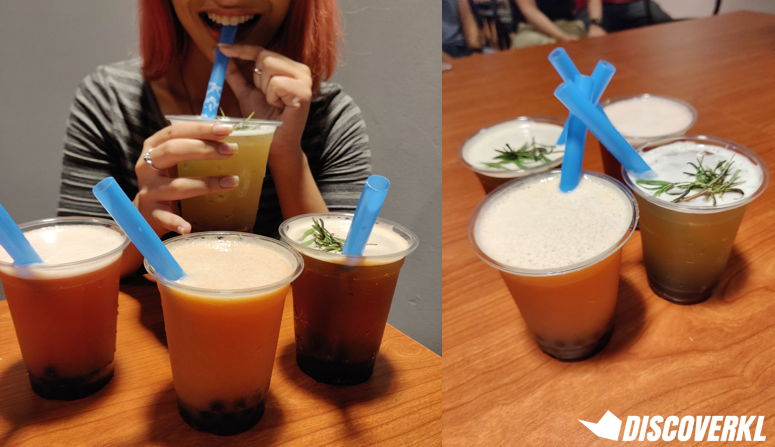 These drinks drew different responses from our team. Ven Xhin and Iylia enjoyed the fragrant strawberry but I personally found it slightly artificial-tasting. The guava, on the other hand, wasn’t as well-received by our team but I found it to be ultra- refreshing. 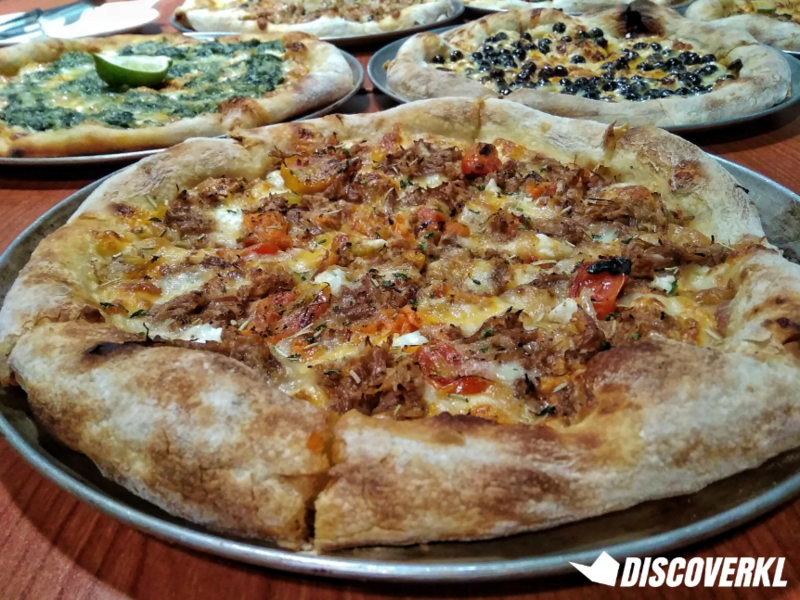 Pizzas were next—we had the opportunity to try all 8 pizzas that are currently available on the My Pizza Lab menu! Popeye The Sailorman (RM30) came with creamed spinach, blue cheese, pepper mayo, roasted garlic paste and lemon juice. You’ll get a hint of tanginess from the wedge of lime it is served with. Squeeze sparingly if you’re not a huge fan of citrus flavours in your meal. The spinach is soft in texture due to the method of cooking. Do note that there’s a bit of heat in the last few bites, but it’s nothing crazy. This one’s perfect if you’re looking to get an extra dose of greens in but you don’t want to experience FOMO when your friends head out to grab some pizzas. 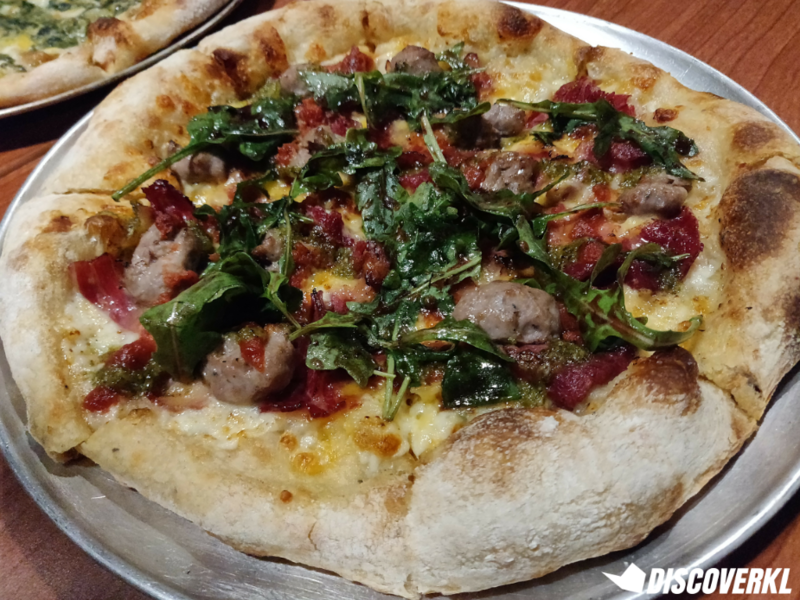 The Butcher’s Wife (RM35) is a beef sausage pizza with streaky beef, capers, tomato puree, arugula, olive oil and blueberry vinaigrette. The favours balance together really nicely and you’ll even get a hint of sweetness from the tomato puree that cuts through the richness of the beef. The puree itself tastes almost like chutney. Huat The Duck (RM35) comes with garlic oil, smoked duck slices, torched Mandarin oranges and onion jam. Don’t consider this a knock-off of the classic Hawaiian. That’s because Huat The Duck carries itself well without having to piggy back on the idea that Malaysians generally favour Hawaiian pizzas. If you’re okay with pineapple on pizza, you should enjoy this. But that being said, it’s slightly sweeter than a traditional Hawaiian. Seoul Good (RM35) comes with charred bulgogi, beef, mild kimchi, seaweed mayo and sweet pickles. 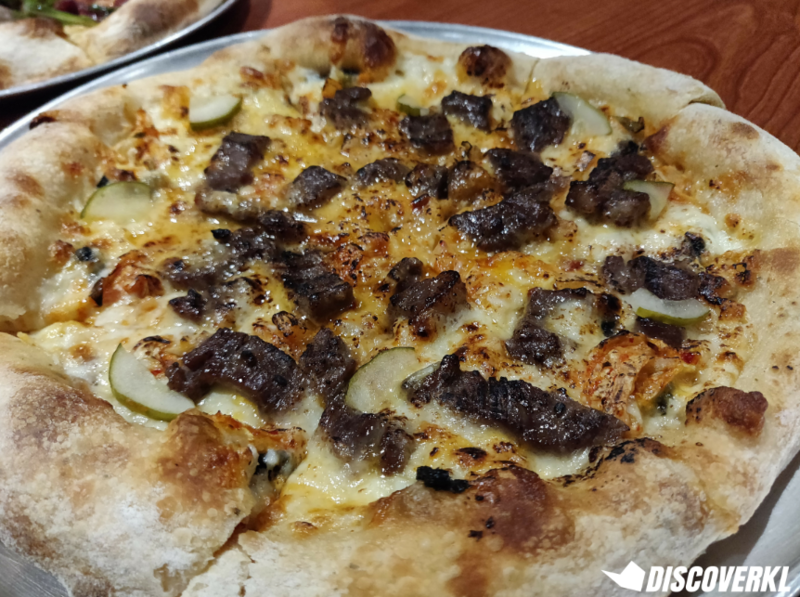 This pizza leans towards the sweeter end of the pizza spectrum but also manages to be meaty at the same time. It has major Oriental vibes and thin slices of refreshing cucumbers are used to give it an element of crunch. 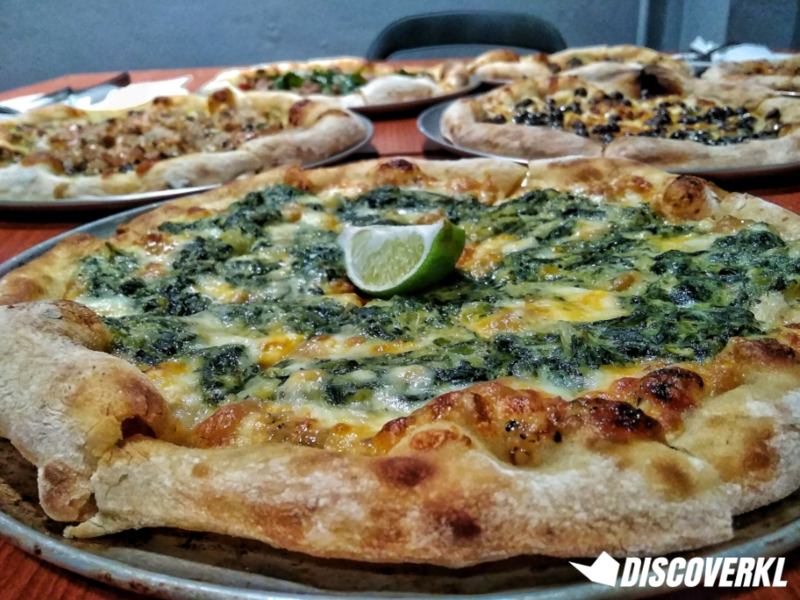 It’s the spiciest one we’ve had so far at My Pizza Lab. 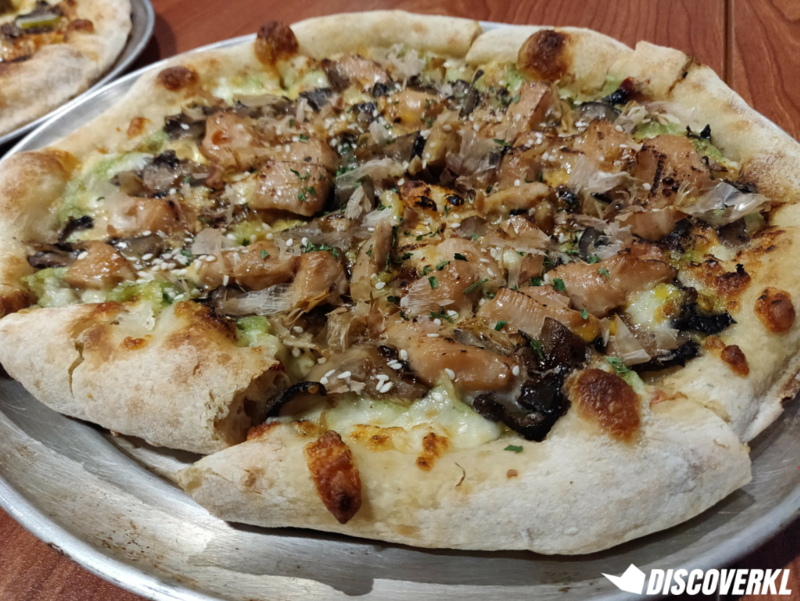 Tokyo Bird (RM35) is a charred teriyaki chicken pizza with Asian mushrooms, mild wasabi mayo and bonito flakes. There’s fairly little wasabi in the pizza and don’t worry is you can’t take spicy meals. You should be fine. But have a beer boba at hand if your spice tolerance is very low. The mushrooms used in this pizza are shiitakes and some might not like it for its chewy texture. We did, and the texture did not bother us in the slightest. The Cheese & Tomato (RM25) comes with Parmesan, cheddar, mozarella, blue cheese, cheese mayo and thinly sliced fresh tomatoes. As a huge fan of cheese, this could not sound any more divine. The cheese flavours are really intense and you’ll get slightly sour flavours from the blue cheese. Sour is good in this case, as just like a citrus element would cut through the richness of the other cheeses, that’s the exact role that the blue cheese played in this one. Mary’s Lamb (RM35) is a braised lamb pizza with oven roasted cherry tomatoes, mozzarella, feta cheese, roasted garlic and onion jam. The lamb is surprisingly soft and due to the fact that it had been shredded, some of us even mistook it for tuna! The flavours are bold and because of that, Mary’s Lamb was the slowest moving pizza at our table. Definitely takes a true fan of braised lamb to enjoy this one thoroughly. 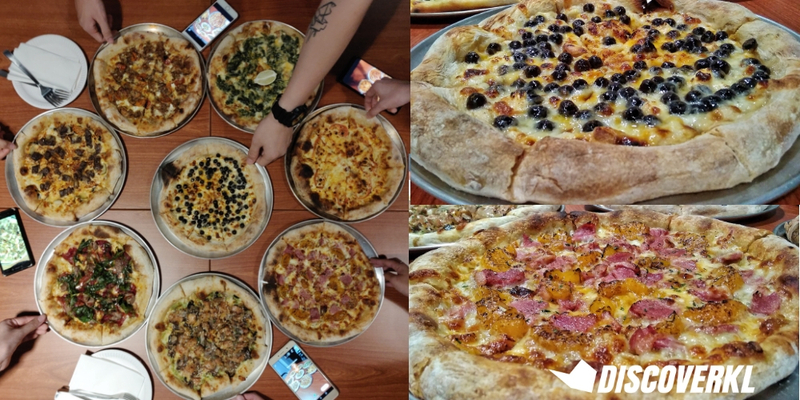 We ended our night with the epic Boba Milk Pizza (RM15). 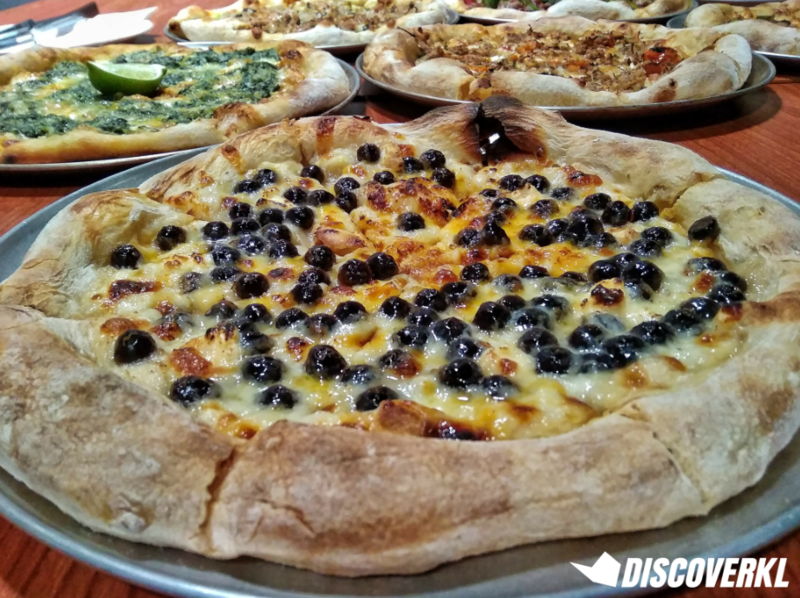 It is a boba pizza with condensed milk, mozzarella, cream cheese, cheddar and garlic oil. I had high hopes for the polarising pizza from the start and was suitably pleased to report that my high hopes were not dashed. It’s also pretty decently priced for its size. The combination of sweet and savoury worked well in this case and the boba pearls are not immensely chewy. It has just the right amount of savouriness that it doesn’t overpower the sweet pizza and neither is it overly cheesy. Overall, the clear winners of the evening are the Boba Milk Pizza, Huat The Duck and Jasmine Tiger Beer Boba.